Welcome to the Edible Mushrooms Gallery. 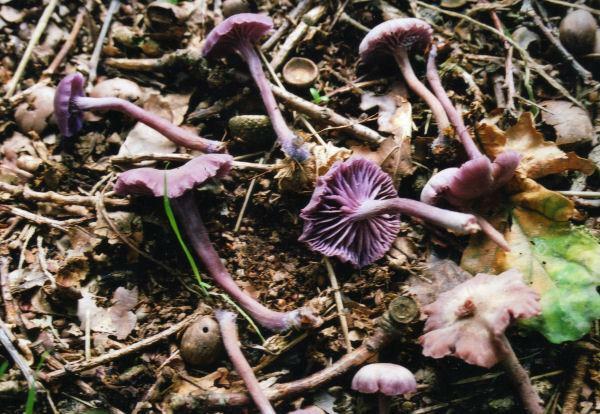 Contribute by posting your picture along with the name and some details of any edible mushroom you've came across. If the pictures are yours, better. Think about this thread as a reference guide. Many mushrooms and fungi are poisonous and some are deadly poisonous. The contributors to this gallery will have made every effort to ensure identification accuracy when posting, but since we cannot hold ourselves out as experts at Downsizer we are unable to comment on this accuracy. In the end, the responsibility for eating any mushroom or fungus must rest with the individual. If you collect any mushrooms to eat make sure that your identification checks out in every detail. Never eat any wild mushroom until an expert mycologist has checked your identification. Even when you know a mushroom well weather conditions or animal damage can cause differences in appearance that could lead to misidentification. If you do not agree to view this gallery under these terms, please click away now. Thank you and enjoy the thread. "Traditionally you can expect to see this mushroom from St. Georges day (April 23rd), but I’ve picked it from the middle of April onwards. Lots of the older guide books will tell you that you’re more likely to find it a week later than that, but most years (in these days of warm, wet springs) I find it from about then. It is in May that this mushroom reaches its peak. In a good year, you can find this one by the basket load all through May and into June, and it’s bounty I’d hate to miss. For me, it’s the first really exciting mushroom of Spring. It’s wonderfully meaty, tasty, and very substantial; it can be 15cm across if you’re very lucky. It grows in rings around the edges of fields, anywhere with relatively undisturbed pasture, and it seems happiest near to trees. It’s really the only big white mushroom of the like in Spring. 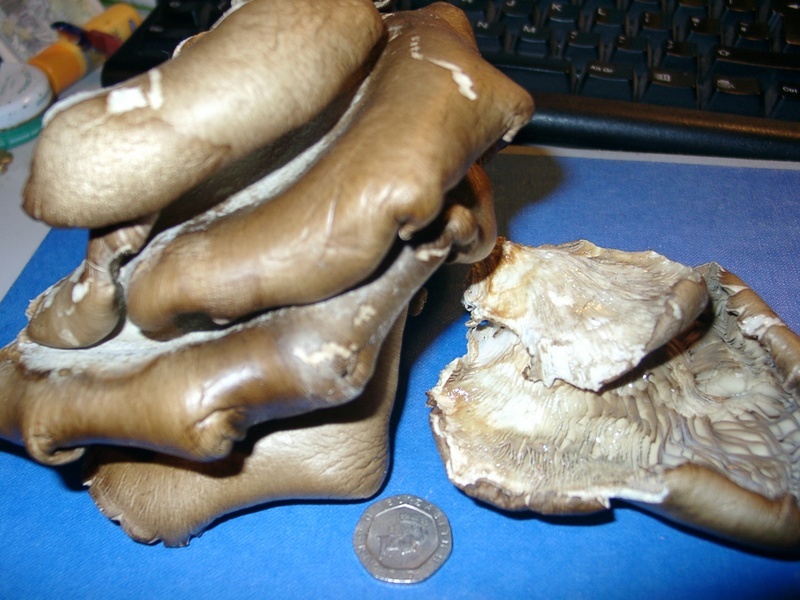 No volva, no ring, white gills, cap and stem going pale cream with time. It’s got a mealy smell, almost meaty. You may find that the older, bigger specimens are too strong in flavour for you; I’ve never had a problem with that, but if you do then simply use them in smaller portions. I have no hesitation in reccomending this mushroom. I consider this the best wild mushroom to pick." "Another of my favourites, one I’ve found first in May every year for the past five. It’s an odd looking critter; bright yellow, tiny pores on the underside, bright orange on top, and it grows in thumping great brackets on the side of dead trees and stumps. And if you find some, you might easily find five or ten kilos. There are a few things to be aware of when picking this mushroom. Firstly, there's some evidence that if it's growing on either yew or eucalyptus, it might be poisonous. Secondly, you really only want it when it's young and juicy; it gets old and woody later, and it isn't good eating any more. Thirdly, there are some extremely rare examples of children hallucinating after eating this mushroom. So don't feed it to any tiny tots. Other than that, munch away. It's remarkable just how much this mushroom really does taste like chicken, so I recommend making the most of that by adding it to chicken stews and curries. I like to keep some in the freezer, ready to be diced up and marinated in olive oil and herbs, making an ideal barbecue treat for vegetarians." "Be careful with this one. Really careful. 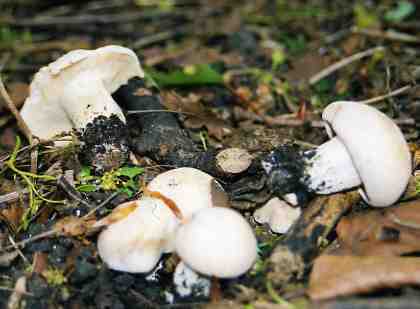 You could mistake one of the toxic Clitocybe species or it, and that wouldn’t be good. Could be fatal. But once you get the eye for this mushroom, it’s a cracker, it really is. A lot of people write books on wild foods that you can find in immaculate woodlands that you never ever get to. 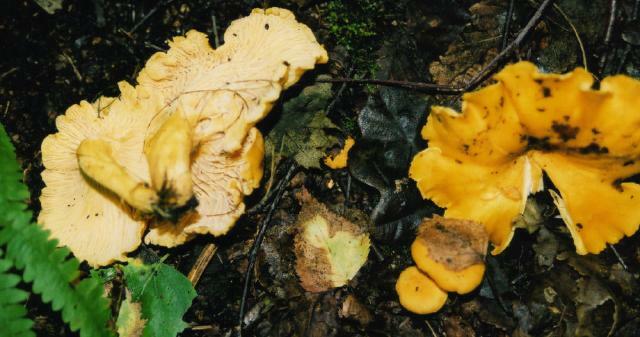 They tell you about chanterelles, ceps, morels and the like. What they don’t tell you about is this little mushroom that forms most of the fairy rings in parks, football pitches, school playing fields, etc. And it has an almondy, mushroomy flavour as good as any other mushroom. It’s not big, so you want to pick plenty for a meal. This isn’t a problem; you might find rings that are ten yards across or more, with hundreds of mushrooms on them. You get them from Spring through till Autumn, but in May they’re at their best because there is less chance of them being full of maggots. As you pick them, pull the stipe (stem) out and look at where it joins the cap; you want there to be no maggot holes there. "This is one of the most highly prized wild mushrooms, and although I agree that it’s a good mushroom (wouldn’t be in my top ten for the month otherwise), I’ve always been of the opinion that it’s over-rated. 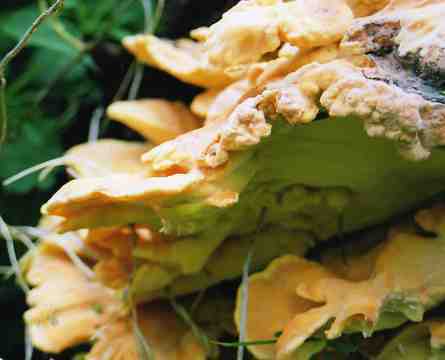 Still, it’s a tasty find, and on occasion in pine and mixed woodlands you’ll find it abundantly. It’s an odd mushroom, being very primitive in appearance, with the gills being poorly defined, more like invaginations of the body of the mushroom than gills. The flavour isn’t intense, but it’s most pleasant; peppery, slightly fruity and very aromatic. Make use of that by soaking in vodka, for one of the more unique liquers you’ll ever taste. Or cook simply in olive oil and butter, adding to pasta when done. Either way, they’re worth a shot. It’s worth noting that there’s a little confusion with the name here; while us Brits have known this mushroom as a chanterelle for generations, the French use the word chanterelle to refer to a different mushroom, the winter chanerelle (Cantharellus infundibuliformis), and call Cantharellus cibarius by the name of girolle. Regrettably, supermarket chains will tend to go with the French nomenclature! You can of course mistake some other mushrooms for chanterelles, and it’s beyond the scope of this article to explain how to identify the mushroom. 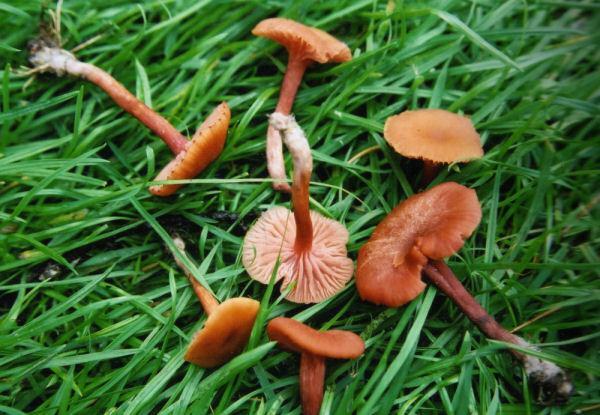 Suffice to say that it’s worth being cautious, and before eating your first specimens make sure you’re familiar with the false chanterelle and similar species. The chanterelle is a mycorhizal species; that means that it grows in association with certain trees, in my experience does best with pine trees. 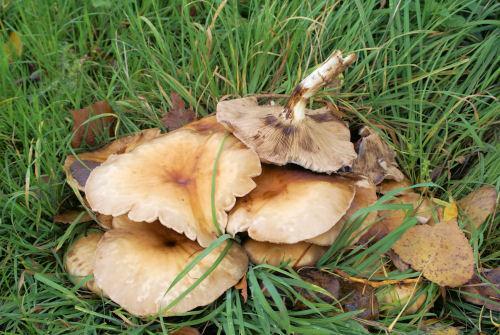 You’ll also find that like many mushrooms, you’ll find it again and again on the same patch." " I’ve always found the monsters, the truly ginormous puffballs, in September and October. And there is nothing more exciting for any forager than to unexpectedly encounter a monster puffball! 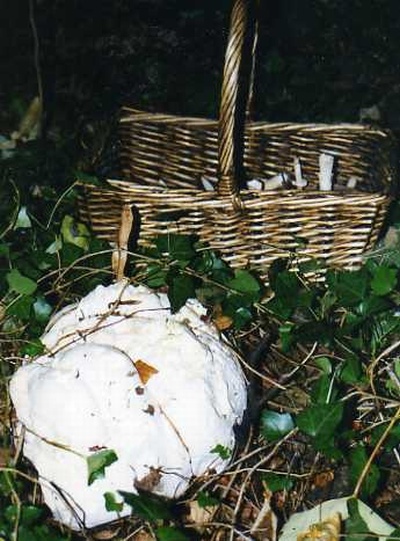 The giant puffball is a mammoth amongst mushrooms. It is a near spherical fungal fruiting body, somewhere between a few inches and a yard or more in diameter. It is attached to the ground by a thin stem, which breaks upon ripening allowing the puffball to dry out and release spores (sometimes for a year or two) as it rolls about in the wind. If you are lucky enough to find a young, fresh specimen (it MUST be white all the way through; as it yellows, eventually turning green and brown, it will make you sick) then you are in for a real treat. Take it home (laughing maniacally as you do so), slice it into half inch steaks, and fry it (battered or covered in egg and breadcrumbs if you like). It’s kind of like a strongly mushroom flavoured marshmallow. Or dice it for stews and soups, slice it up and add some olive oil, put in a pot and bake it... Even stuff it with mince and its own chopped innards before baking (the smell it gives out when you cook it that way is almost overpowering!). Whatever you do with it, it is a fine tasting mushroom. Different guidebooks will give different habitats for the giant puffball, but I personally think that it grows where it likes. I’ve found them on muddy lake banks that are covered in water for two months of most years, I’ve picked it from a pile of waste soil next to a rugby pitch, and I’ve found a ring of a dozen football sized puffballs in a patch of scrubby woodland by a railway track. The only linking thing I can find is that the soil must be relatively undisturbed for a few years. I can’t really offer definitive advice on what habitat it prefers, but I will stick my neck out and say that sooner or later, if you keep your eyes open, you’ll find one. Can’t easily be misidentified, unless you find a football in the woods." "These are the real gems of any winter forage. Go looking for them at any time during the year, they're genuinely in season all of the time, but they're often at their best right in the middle of winter! Look for them after a frost; anything from two days to a week after a hard frost, if the weather has been a little more temperate, you can expect to find oyster mushrooms fruiting. 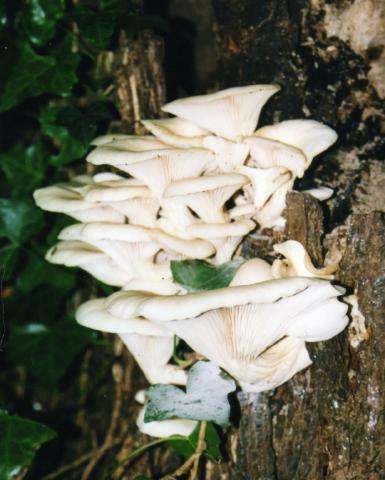 The ‘cold shock' synchronises many strains of Pleurotus to start fruiting at the same time, and a canny forager can use that to his advantage. Use wild oyster mushrooms in just the same way as shop bought ones; they're a tasty, textured mushroom suited to stir frying, stews and soups. Find them on dead and decaying wood, in forests and parks throughout the British Isles. " Thats from outside the chemistry department of Cambridge University, right on Lensfield Road... Very pretty but I didn't eat them! October '01. Thats from Thetford forest, same roll of film as the other pic so only more or less the same time as the deceivers. They're both slight little shrooms, only a few of centimeters across and the shape is very variable. But when found in profusion they're really nice and tasty, well worth having. "...cream at first, darker brown with age, with persistent ring which soon becomes dusted brown by the spores. 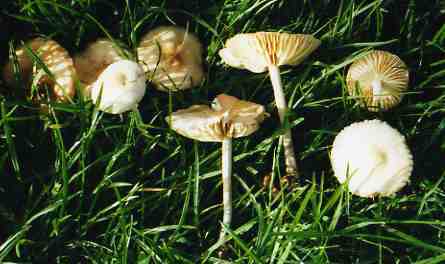 Flesh white in the cap and stem, brown in the stem base. Taste nutty, smell of old wine casks. Habitat in tufts wood especially willows and poplars. Season all year round." Looks like this is going to explode out into being a database for edible mushrooms... If we're going to do that then we'll have to keep it 'all our own work', i.e. we're going to have to just use our own pictures. If it were just going to be a forum thing that might be different, but for the database we'll have to be way more stringent with copyright. Looks like this is going to explode out into being a database for edible mushrooms... If we're going to do that then we'll have to keep it 'all our own work', i.e. we're going to have to just use our own pictures. Since a database would be a cool feature, I'm just going to post pictures from this site. The comments attached to them will be chunk of text taken from this forum and articles. Excelent offer: it's oft been said that there's a wealth of information in here, but it gets even better when brought together.